I’m not sure what drew me to check out this sample chapter. It might have been the cover, or the title; and when I read the summary copy, I thought, “Why not?” Having read it, I’m definitely interested enough to check out the book. In a different dystopian twist, most humans now live in a city under the ocean. In a coming-of-age ceremony, teens choose whether they will live out their lives in the underwater city or be transported to the surface and, therefore, separated from their family and friends forever. Only one person from each family can go above. Rio always wanted to go to the surface. But after their mother dies, Rio’s twin, Bay, convinces her to stay. So in the ceremony, Rio chooses Atlantia…and Bay goes next, choosing the surface! Since Bay is immediately hustled away to the transport, Rio is left wondering what made Bay choose going above. Was it something as mundane as a boy? Now Rio wants to escape the city, but it’s never been done. The only person who might help is Rio’s estranged aunt, who’s known as a sea witch. 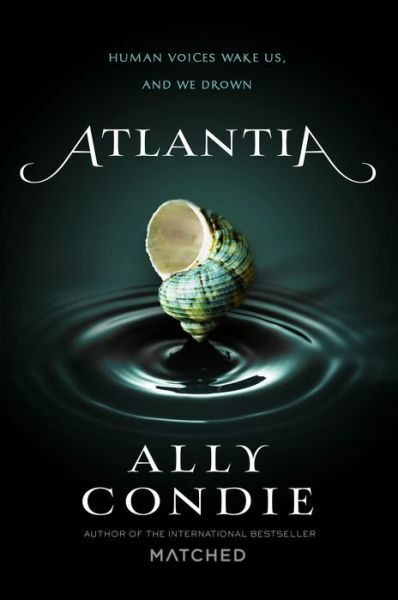 I have not read Ally Condie before, but I was drawn in by her descriptions of the city and the immediate suspense she created during the ceremony. There are some Little Mermaid parallels, but not a direct retelling by any means. I’m interested to see where this goes. Atlantia will be released in hardcover, eformats, and audio on October 28, 2014. Note: Review is based on a sample chapter provided by the publisher via Netgalley in exchange for an honest review.